Home News iPhone XR vs the best Android, which one is better? 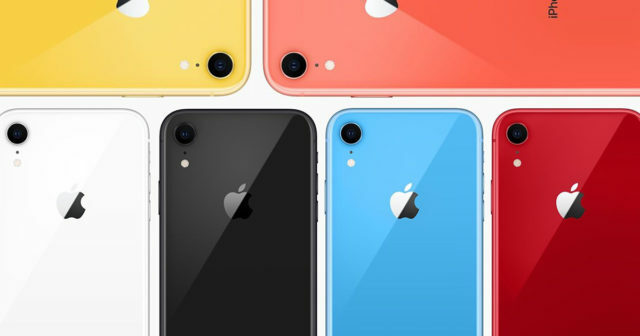 The iPhone XR is called to be Apple's best seller. It has qualities to achieve it, although the price could be more adjusted. Its direct rivals are the top of Android range , many of them, have a similar price. 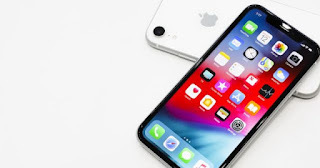 The iPhone XR includes many of the features of the iPhone XS at a price 300 euros lower . Aspects how the design, camera or processor are identical in both Apple devices. We have compared the iPhone XR with its older brother, the iPhone XS, and now we are going to compare it with other Android terminals . Starting with the iPhone XR, we have a device designed in glass with a 6.1-inch screen . The brain in command is the Apple A12 chip along with 3 GB of RAM. It is available in 3 capacity options, 64, 128 and 256 GB. The Note 9 also has a glass design and a 6.4-inch screen . The OnePlus 6T also has this screen size and the Pixel 3 XL reduces its diagonal to 6.3 inches. As for the processors, they all carry the latest from Qualcomm, the Snapdragon 845 . As always, the design is something quite subjective . 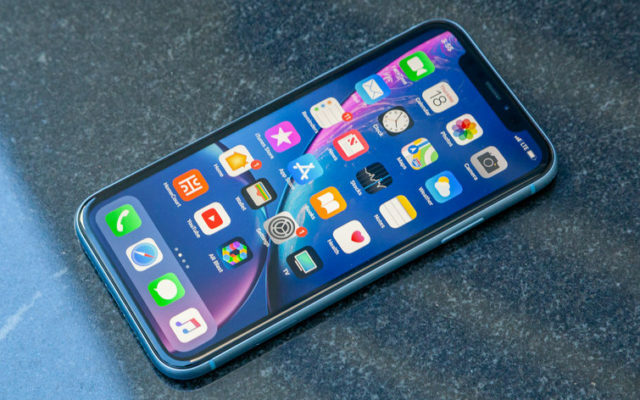 The iPhone XR keeps the lines of design of the iPhone X, with a device all screen, yes, with somewhat thicker edges than his older brother. In the back we also have glass and the frame that surrounds the device is aluminum . 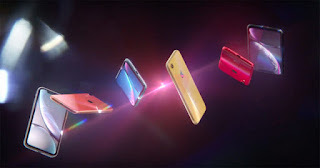 In addition it is of all the compared smartphones, the one that has more options of colors available. The Note 9 also has a design of glass and aluminum , with the addition of the slight curvature of its screen at the ends. It is the only device without notch in the list. For its part the Pixel 3 XL has also finally added glass on its back with a slightly different finish. 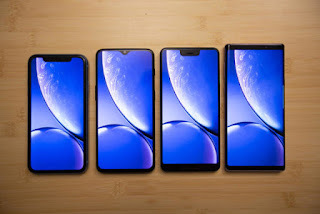 It is undoubtedly the one that has the ugliest notch in the industry . The latest model to be presented is the OnePlus 6T that has, again, a design that mixes metal and glass. Its notch in the form of a drop of water is the highlight because it practically does not take up space. Perhaps this is the biggest difference between Android devices and the iPhone XR. The resolution that Apple has chosen is quite inferior to the normal one in a top of the range. Even so, those who have tried it say that it is a large panel. The Liquid Retina screen of the iPhone XR has a resolution of 1,792 x 828 which makes it have a pixel density per inch of 326. The screens of its rivals have better technologies, are OLED, and better resolutions. The Note 9 and the Pixel 3 XL have a 2K resolution and the OnePlus 6T with a 1080p panel . This means that the pixel density per inch is much higher than that of the iPhone: 516, 523 and 402 respectively. Security methods are one of the star functions of current devices. The iPhone XR has Face ID as identification method . Probably the best facial recognition on a smartphone. 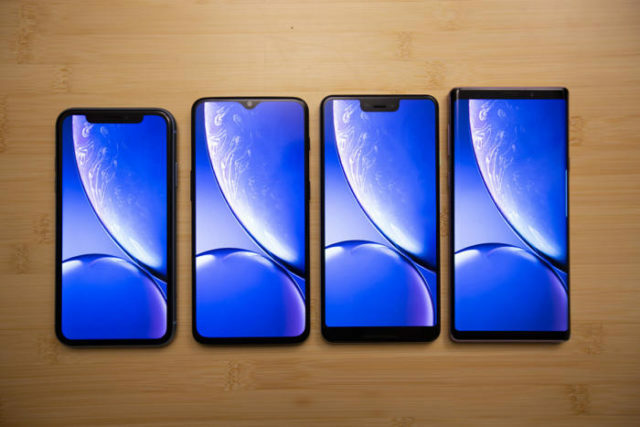 The other three Android devices have fingerprint sensors located on the back, except the OnePlus 6T that has it located under the screen . 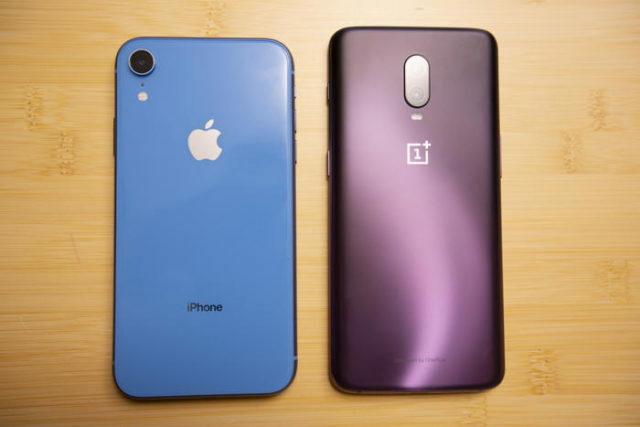 Both the Note 9 and the OnePlus 6T have facial recognition, although not at the level of the iPhone XR. One of the star features of the iPhone XR is its battery . It is the iPhone that best battery life offers without any doubts. The iPhone XR includes a 2,942 mAh capacity battery. Which lasts longer? 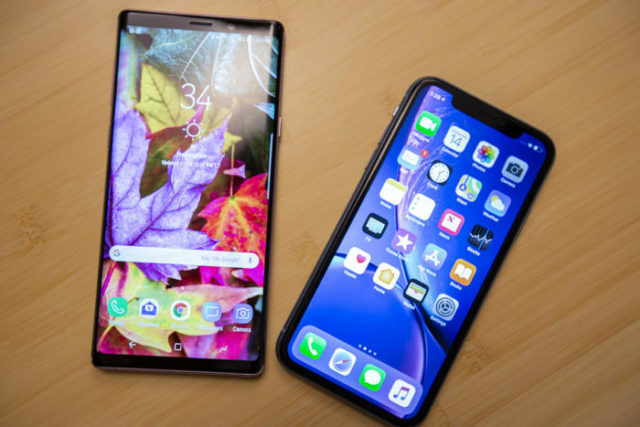 According to the tests carried out, both the iPhone XR and the Note 9 and the Pixel have a similar battery life , about 6 hours of continuous use. However the OnePlus distanced getting something more than 7, so it seems a clear winner. Finished with the price, all the devices have different versions and configurations so we are going to analyze the starting price that appears in the different official websites of all of them, although later they can be obtained cheaper with certain offers.